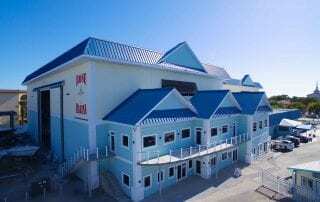 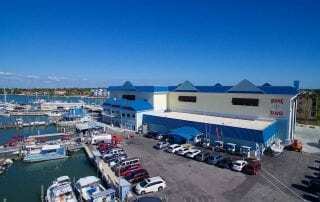 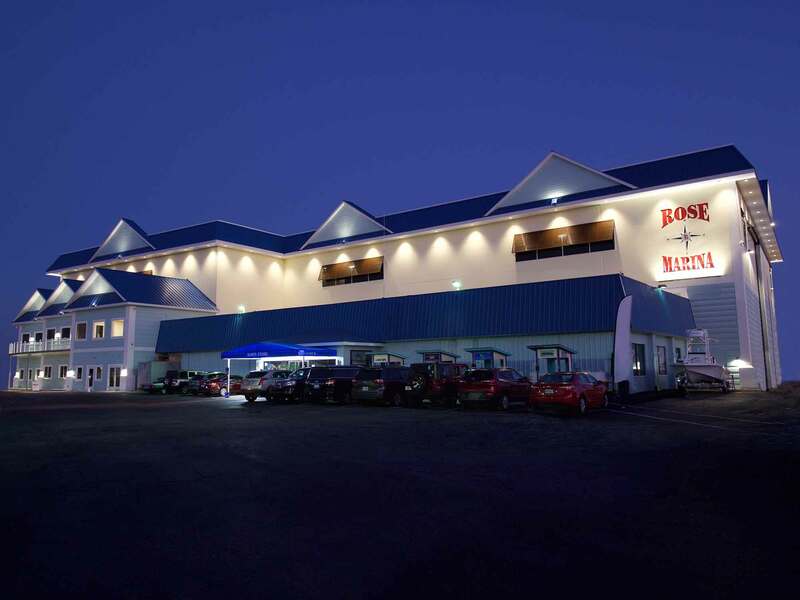 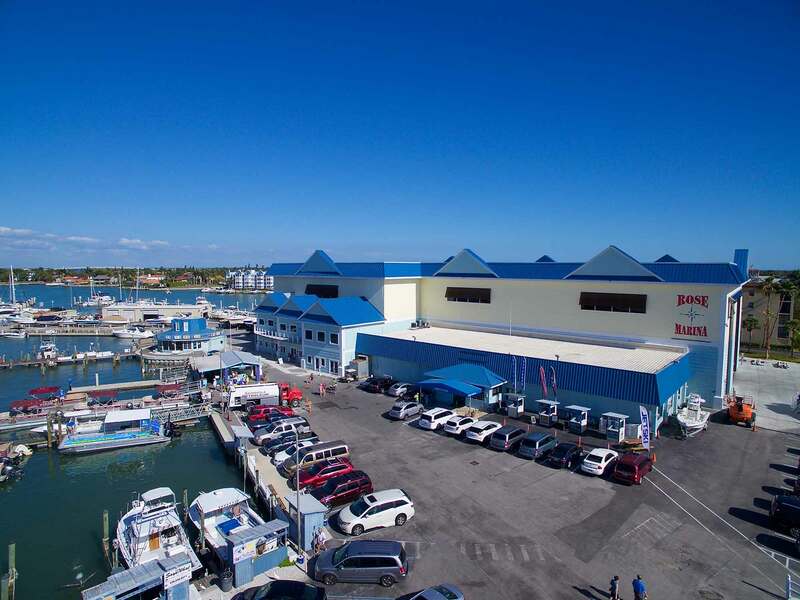 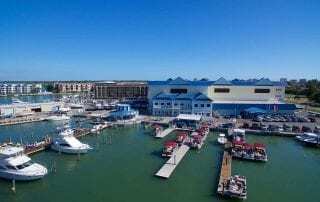 Located on Marco Island, FL, Rose Marina is one of South Florida’s premiere marinas. 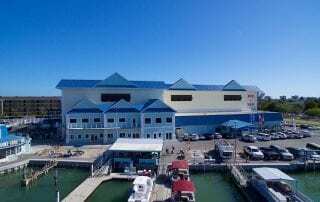 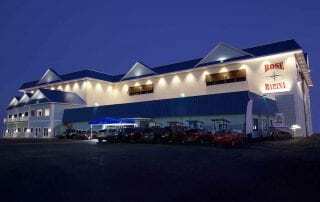 This state-of-the-art concrete boathouse offers protection from tropical storms and named stores, is low-maintenance, attractive, and built-to-last. 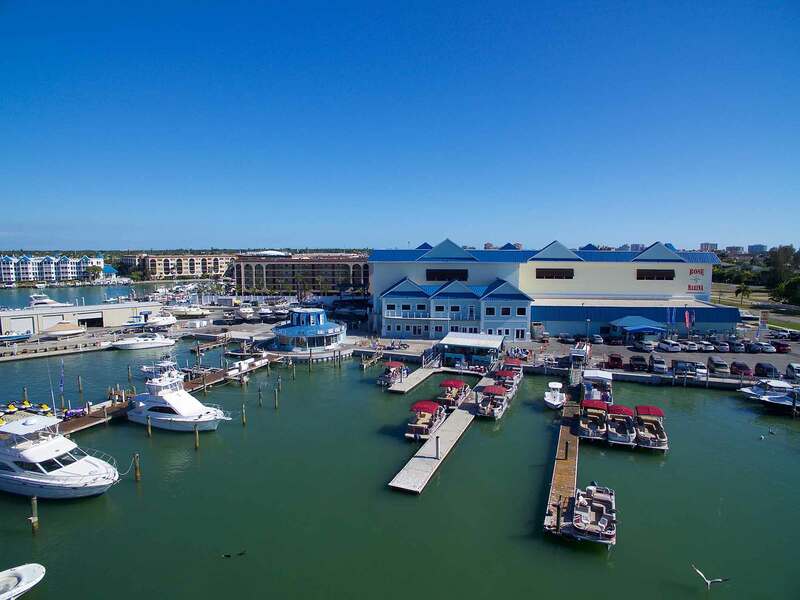 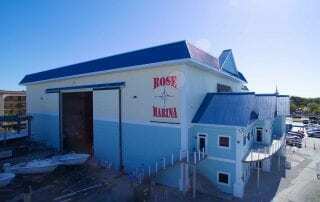 Hurricanes are a major concern for boaters in the region and Rose Marina was built with safety in mind. 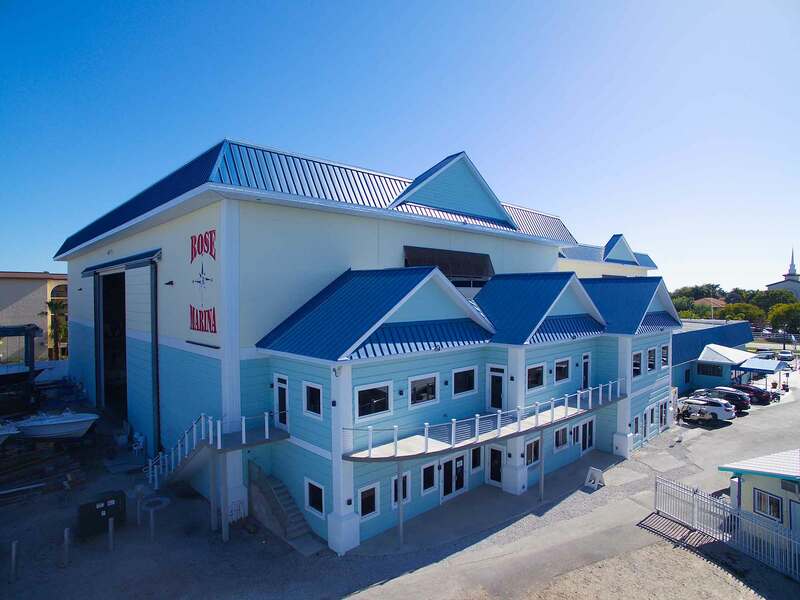 This solid concrete tilt-wall boat storage facility can withstand 200+ MPH winds and includes solid concrete panels separating each bay, giving the boathouse an increased level of fire protection. 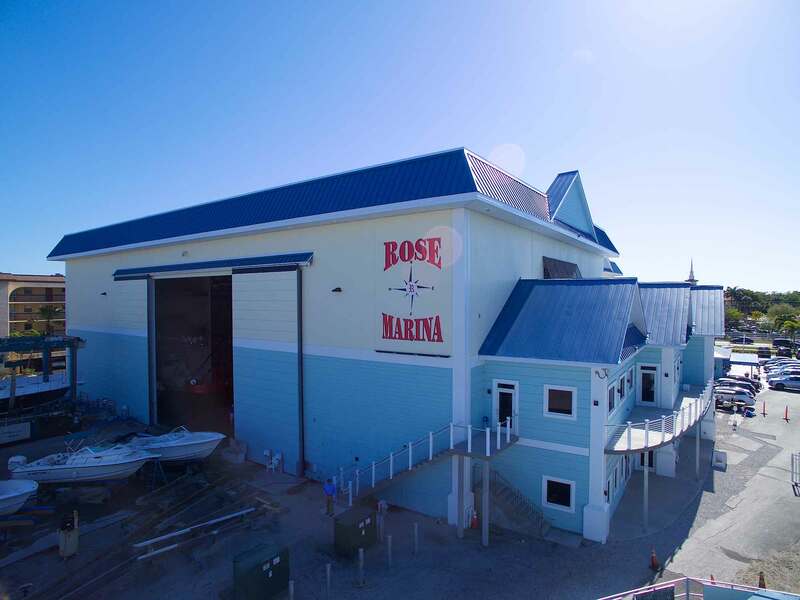 In contrast with the pre-engineered metal construction of most dry storage facilities, Rose Marina’s tilt-wall concrete construction allowed it to be designed with added texture and paint along the exterior wall, making it more aesthetically appealing to nearby residential neighbors. 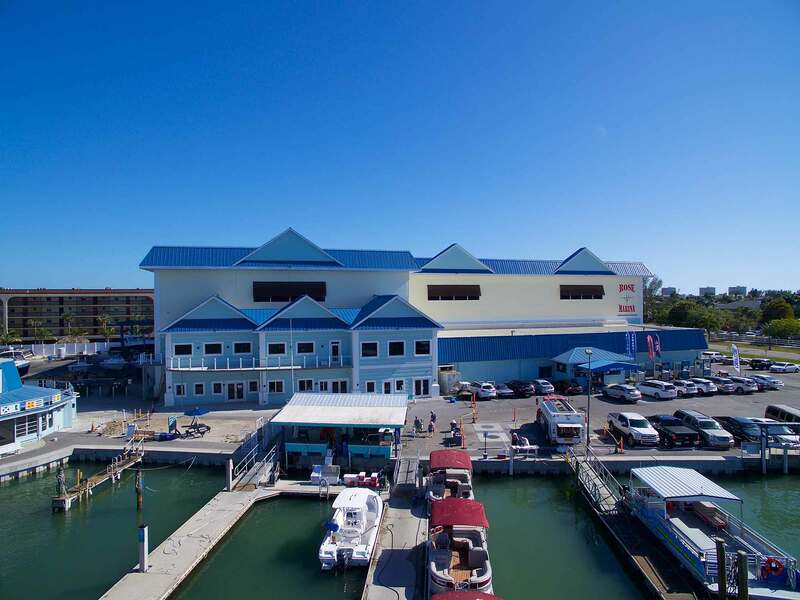 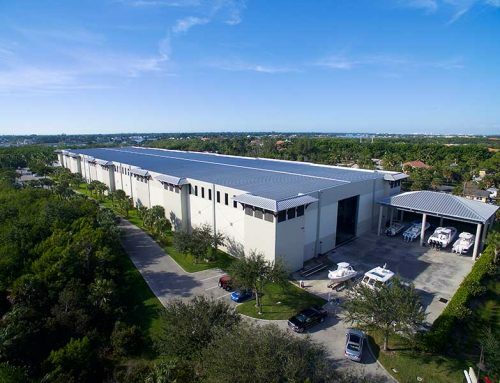 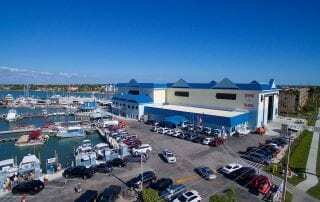 35,872-square foot boathouse, two story marina office complex and a shipping and receiving center for the adjacent ship store. 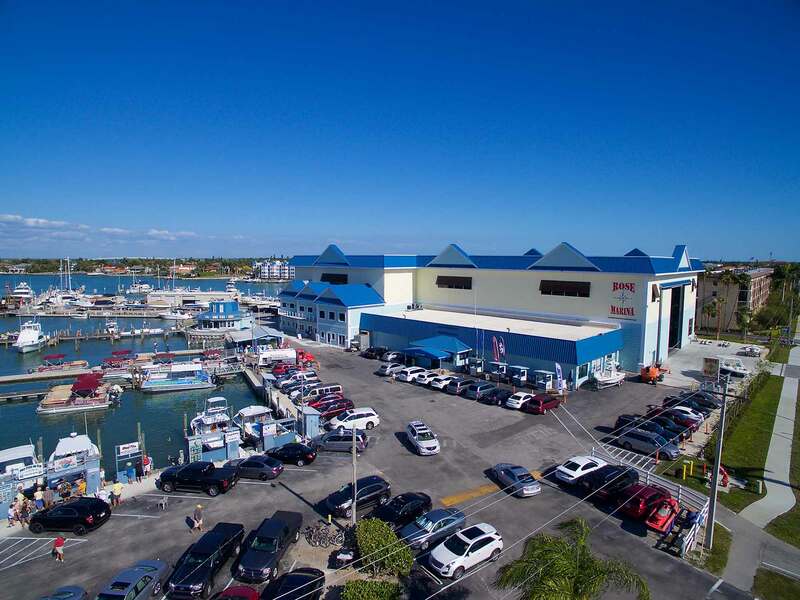 Dry storage for 144 boats of 43+ feet, 109 wet slips on floating concrete and fixed docks. 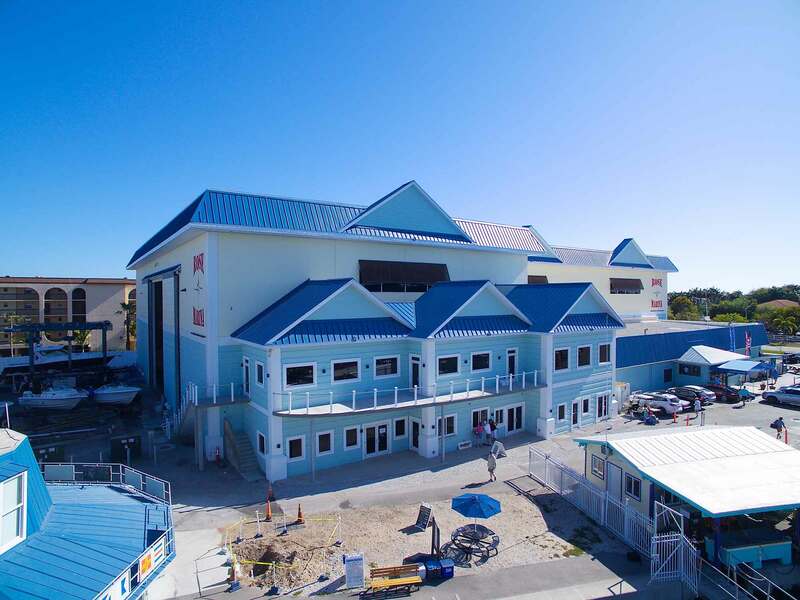 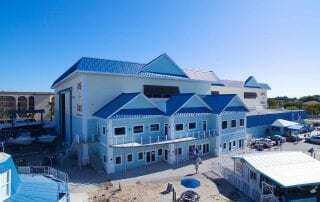 Hurricane rated concrete boathouse and 6,000-square-foot retail store.